The Royal Canadian Mint (French: Monnaie royale canadienne) is a Crown corporation, operating under the Royal Canadian Mint Act. The shares of the Mint are held in trust for the Crown in right of Canada. The Mint serves the public's interest but is also mandated to operate "in anticipation of profit" (i.e., to function in a commercial manner without relying on taxpayer support to fund its operations). Like private-sector companies, the Mint has a board of directors consisting of a chair, the president and CEO of the Mint, and eight other directors. Traditionally, the President of the Royal Canadian Mint is known as the Master of the Mint. The president is Jennifer Camelon, who was appointed to the position in 2018. The Board of Directors, through the Chair, is accountable to the Minister of Finance. The Minister serves as the link between the Mint, Cabinet and Parliament. The Mint was named one of "Canada's Top 100 Employers" by Mediacorp Canada Inc. from 2007 to 2010. In March 2012 the Canadian Government decided to cease the production of pennies. The final penny was minted at the RCM's Winnipeg, Manitoba plant on the morning of May 4, 2012. In April 2012, the Mint announced it was developing MintChip, a digital currency to allow anonymous transactions backed by the Government of Canada and denominated in a variety of currencies. The Royal Canadian Mint logo until June 2013. For the first fifty years of Canadian coinage (cents meant to circulate in the Province of Canada were first struck in 1858), the coins were struck at the Royal Mint in London, though some were struck at the private Heaton Mint in Birmingham, England. As Canada emerged as a nation in its own right, its need for coinage increased. As a result, a branch of the Royal Mint was authorized to be built in Ottawa in 1901 after being first proposed in 1890. During a short ceremony, Lord Grey and his wife, Lady Grey, activated the presses for the Canadian Mint on January 2, 1908, officially opening the Ottawa branch of the Royal Mint. When the facility first opened, it had 61 employees. Three years later the Mint began refining gold by electrolysis in its assay department. This method proved to be too time-consuming and in 1915 the Mint introduced a new chlorination process developed in Australia to reduce processing times and increase the Mint's gold refining capacity. Since then, the Mint's refinery has undergone several changes and expansions. Today's process is a combination of chlorination and electrolysis. Over the years the Mint had used different processes to recover and sell the silver often found in unrefined gold, but, in 2006, the Mint opened a new, state-of-the-art silver refinery that finally allowed it to refine silver. The silver is first upgraded in an oxygen converter and then refined by electrolysis. It wasn’t until the Great Depression that the Ottawa Mint negotiated its independence from the British Royal Mint. In 1931, the Ottawa Mint was renamed the Royal Canadian Mint and began reporting solely to the Department of Finance. Although the Mint continued to rely on the Royal Mint to produce the master tools required for the creation of its punches and dies, the Mint was finally under Canadian control. In 1969, the Government of Canada reorganized the Mint as a Crown corporation. As such, the Mint was no longer a branch of the Department of Finance. It would operate like a corporation with its own Board of Directors and increased decision-making powers. In 1979, the Royal Canadian Mint building in Ottawa was designated a National Historic Site, on the grounds the building is representative of the federal government's approach to using the Tudor Gothic architectural style to create a distinctive identity in Canada's capital, and of the patriation of control over Canada's currency from Britain. The Mint's facility in Ottawa is responsible for producing collector and commemorative coins, bullion in the form of coins, bars, wafers and grain, medals and medallions. This is also where the master tooling is done to create the dies that strike coin designs for both circulation and commemorative issues. The Mint's gold and silver refineries and assay labs are also in Ottawa, as is a full-time Advanced Engineering Research team dedicated to R+D projects. The last surviving member of the Mint's original staff was Owen Toller. He started in the Mint as a Junior Clerk and retired as an Administrative Officer. He retired after 45 years of service on January 6, 1953. Mr. Toller died in November 1987 at the age of 102. In November 1960 the Master of the Mint, N.A. Parker, advised the Minister of Finance that there was a need for a new facility. The Ottawa facility had reached capacity, the Philadelphia Mint was producing a large number of Canadian 10¢ coins and all numismatic coins were being produced in Hull, Quebec. It was finally recognized the Mint required an additional facility. In 1963 and 1964, the government discussed the possibility of building a facility that would be functional within two years. Prime Minister Lester B. Pearson suggested building the facility in Elliot Lake, Ontario. A 1968 study showed the Ottawa Mint facility was antiquated. When the Royal Canadian Mint became a Crown corporation in 1969, many believed a decision would be reached. But although funds had been allocated for a new facility, no real planning had begun. Emphasis was made on finding space in Ottawa. It was decided the Royal Canadian Mint would keep the historic building and have a new facility for manufacturing circulation coins. The federal government of the time, led by Pierre Trudeau, decided to decentralize many public services. The result was a claim for restitution from the province of Manitoba, complaining about its loss of many military bases. In February 1970, Supply and Services Minister James Richardson, the Minister responsible for the Mint, proposed the possibility of a new facility in Winnipeg. This proposal was cause for debate because it was legally stipulated the Mint was unlike any other government operation and money should be produced in Canada's capital region. Another point of tension was that the Cabinet Minister was from Winnipeg. Plants that are over 1,000 miles apart would endure communication and distribution difficulties. A study had shown the division had merit because raw materials could be purchased from a supplier in Alberta, rather than a competitor outside of Canada. Eventually, it was agreed upon in December 1971 the Mint would build a facility in Winnipeg. The land was purchased in 1972 and construction began at the end of the year. The new facility was completely different in appearance from the facility in Ottawa. Architect Étienne Gaboury designed a striking triangular building that rises up dramatically from the surrounding prairie. Gaboury was Design Architect, in collaboration with the Number Ten Architectural Group led by partner-in-charge Allan Hanna. The Mint facility in Winnipeg was officially opened in 1976. The Winnipeg branch of the Royal Canadian Mint allowed the Ottawa facility to concentrate solely on collector coins while Winnipeg would produce the entire supply of circulation and foreign coins. The Winnipeg facility is also responsible for producing the circulation currency of other nations. Since opening its doors in 1976, the Mint's Winnipeg facility has produced coinage for over 70 countries: centavos for Cuba, kroner for Norway, fils for Yemen, pesos for Colombia, kroner for Iceland, baht for Thailand, and a thousand-dollar coin for Hong Kong. Other client nations include Barbados, New Zealand and Uganda. The Royal Canadian Mint is a Crown corporation and operates under the Royal Canadian Mint Act. In serving the public's interest, a Crown corporation has greater managerial independence than other government entities, meaning it may operate in a commercial manner. Like private sector companies, the Mint has a Board of Directors composed of a chairman, the President and CEO of the Mint and eight other directors. Traditionally, the President and CEO of the Royal Canadian Mint is known as the Master of the Mint. The president is [Marie Lemay] (appointed in 2019), and the Chairman of the Board is Phyllis Clark. In descending chronological order, the individuals who have served as the Mint's Master Engraver are: Cosme Saffioti, Sheldon Beveridge, Ago Aarand, Walter Ott, Patrick Brindley, Myron Cook, and Thomas Shingles. The government department responsible for the Royal Canadian Mint is the Department of Finance. There are 10 members of the Mint's Board of Directors, and 12 members on its Executive Team. The Royal Canadian Mint has four lines of business: Bullion and Refinery Service, Canadian Circulation, Foreign Business, and Numismatics. Additionally, the Royal Canadian Mint operates a technically advanced refinery in which it refines precious metals from a variety of sources, including primary producers, industry, recyclers, and financial institutions. The Mint refines raw gold to 995 fine through the Miller chlorination process. The gold is then cast into anodes for electrolytic purification to 9999 fine using the Wohlwill process. In May 2007, the Mint produced the world's first and only 99.999% pure gold Maple Leaf Bullion (GML) coins. Offered in limited-edition one–troy ounce gold bullion coins, three series of these special GML coins were produced (2007, 2008, 2009) in addition to the 99.99% pure GML coin, which is produced on demand. A 100 kg version of the 99.999% pure GML coin was produced as a promotional tool and was later sold as a product when interested buyers came forward. The Mint's core mandate is to produce and manage the distribution of Canada's circulation coinage and provide advice to the Minister of Finance on all matters related to coinage. Recently, up to two billion Canadian circulation coins are struck each year at the Mint's facility in Winnipeg. While the effigy of the reigning monarch has appeared on every Canadian coin produced by the Mint since 1908, reverse designs have changed considerably over the years. The Mint often introduces new commemorative designs which celebrate Canada's history, culture and values. Since 2000, all of Canada's circulation coins have been produced using the Mint's patented multi-ply plated steel technology except for the $1 and $2 circulation coins, which started using this technology as of April 10, 2012. Many foreign countries have had coinage struck at the Royal Canadian Mint, including circulation coins, numismatic coins, and ready-to-strike blanks. In 1970, Master of the Mint, Gordon Ward Hunter, relaunched the Foreign Circulation division. A contract for Singapore was won in January 1970, to produce six million rimmed blanks in a copper-nickel alloy. This was their first export contract since a contract for the Dominican Republic 32 years earlier. The second contract came in April 1970 with the Central Bank of Brazil. The RCM produced 84 million blanks for the 50-centavo piece. In August 1971, the People's Democratic Republic of Yemen placed an order for 2 million five-fil pieces. This was followed by an order from Iceland for 2.5 million one-crown pieces. In October 1971, the Bank of Jamaica asked the RCM to produce a commemorative ten-dollar coin in sterling silver, and a twenty-dollar gold coin of proof quality. Also in 1971, the RCM made coins for the Bahamas, Bermuda, Cayman Islands, Iran, and the Isle of Man. An order for 100 million general circulation five-centime and ten-centimo coins for Venezuela was received as well. By 1973, orders totalled 65 million coins, and seventy million blanks. By 1974, the Ottawa facility produced a total of 1.2 billion coins (foreign and domestic), a facility record. Part of the Winnipeg Mint's legacy is its role in producing the circulation currency of other nations. 50 million units of the 20¢ Australian coin featuring a platypus were minted in 1981. These have included centavos for Cuba, kroner for Norway, fils for Yemen, pesos for Colombia, kroner for Iceland, rupiah for Indonesia, baht for Thailand, and a thousand-dollar coin for Hong Kong. Other client nations include Barbados and Uganda. More recently, the Mint has produced coins for a variety of other countries such as New Zealand and Papua New Guinea. In 2005, the Mint was awarded a contract valued at US$1.2 million to produce 50 million toea coins for Papua New Guinea. The circulation coins were produced in denominations of 5 toea, 10 toea and 20 toea, and were manufactured at the Mint's facility in Winnipeg. In 2008, the Mint produced over three million coloured 50-toea coins for Papua New Guinea. These were the world's first coloured coins to circulate outside of Canada. In addition to adding a painted design to more than three million coins, the Mint was required to identically orient the design on every coin. To accomplish this, the Mint, in collaboration with Canadian robotic equipment manufacturer PharmaCos Machinery, developed its own robotic arm to “pick and place” each coin on the painting line, creating a new technical capability unique to the Royal Canadian Mint. The Mint has also supplied 230 million low-denomination coins to the Reserve Bank of New Zealand in 2006. The Reserve Bank chose to reduce the size of its existing 50-, 20- and 10-cent coins and manufacture them using the Mint's multi-ply plating technology. The customers have included governments, central banks, and treasuries. In 2005 alone, the RCM manufactured 1.062 billion coins and blanks for 14 countries. From 1980 to 2005, the RCM has manufactured approximately 52 billion coins for 62 countries. These coins are manufactured at the Royal Canadian Mint's facility in Winnipeg. The Mint produces circulation and numismatic coins, ready-to-strike blanks, medals, medallions and tokens for customers around the world. They also offer dies, die coatings, master punches and tooling, plus roll and wrap and other coin packaging. The Mint has the capacity to produce over 2 billion circulation coins or blanks per year for foreign governments. The mint makes collector coins and related products for collectors and enthusiasts in Canada and all over the world. Several of these coins have earned international industry awards and in 2010, the mint sold out the entire mintage of a record 25 collector coins. Made of base and precious metals, several of the mint's numismatic coins are enhanced by special technologies including holograms, enamelling, lasering and embedded crystals. The mint also produces medals, medallions and tokens as part of this business line. The mint produces a great number of military decorations for the Department of National Defence including: the Sacrifice Medal, the Canadian Forces Decoration and Clasp, the General Campaign Star, the International Security Assistance Force (ISAF) and Bars, the General Service Medal, the Special Service Medal, the Operational Service Medal, the Memorial Cross and the Canadian Victoria Cross. It also produces military decorations for Veterans Affairs Canada, as well as long-service medals for the RCMP and artistic achievement awards for the Governor General of Canada. The mint also produced the athletes' medals of the Montreal 1976 Olympic Games and the Vancouver 2010 Olympic and Paralympic Winter Games. The mint produced 615 Olympic and 399 Paralympic medals at their headquarters in Ottawa for the 2010 Winter Games. The mint also designed and produced the 4,283 medals for the Toronto 2015 Pan Am and Parapan Am games. In 1979, the Mint began producing its own branded bullion coins, which feature a maple leaf on the reverse. Since 1979, the fineness of the gold used to strike the Gold Maple Leaf (GML) coins has increased from .999 to .9999, and finally, to .99999 (for a special series from 2007 to 2009). In addition, GMLs are produced in fractional sizes: 1 ounce, ​1⁄2 ounce, ​1⁄4 ounce, ​1⁄10 ounce, ​1⁄15 ounce, ​1⁄20 ounce, ​1⁄25 ounce, and in sets that combine some or all of these weights. Special-edition designs have commemorated the tenth anniversary of the GML (1989), the 125th anniversary of the RCMP (1997), and the 25th anniversary of the GML (1994). A three-coin set was released to commemorate the Vancouver 2010 Olympic Games (2008–2010), and a fractional GML set was issued in 2011 to commemorate the centennial of the Mint's gold refinery. Renowned for its unrivalled purity, the Mint's Gold Maple Leaf remains one of the world's most popular bullion coins. The Royal Canadian Mint's Silver Maple Leaf (SML) was first issued in 1988 and featured the same design as the Gold Maple Leaf bullion coin. These coins are available to investors in 1 oz. ​1⁄2 oz., ​1⁄4 oz., ​1⁄10 oz., and ​1⁄20 oz. sizes. In 2004–05, the coins were sold in sets of four coins that featured two wildlife species: the Arctic fox (2004) and the Canada lynx (2005). Each coin was of a different value and depicted the animals in a separate pose. Colour and selective gold plating have also been applied to special issues of SML. Holograms have proved popular applications, having been featured on SML coins in 2001, 2002, 2003, and 2005. In 2010, the Mint introduced a new series of silver 9999 fine one-ounce bullion coins featuring Canadian wildlife. The first coin, launched in late 2010, depicts a wolf, while the second features a grizzly bear. The third design, depicting a cougar, was released on September 24, 2011, for public sales. The fourth in the series was a moose, the fifth coin was the pronghorn antelope, and the sixth and final coin was the wood bison. World War II saw low mintages of most coins, as the metals (especially copper and nickel) were needed for the war effort. The composition of the 5¢ coin was changed to tombac in 1942; and the design was changed to a V for Victory in 1943. The composition was changed again to nickel-chromium-plated steel in 1944. The concept for the V design came from Winston Churchill's famous V sign, and the V denomination mark on the US 5¢ pieces of 1883–1912. A novel feature was an inscription of Morse code on the coin. This International Code message meant "We Win When We Work Willingly" and was placed along the rim on the reverse instead of denticles. The regular reverse and composition were resumed in 1946. Chromium-plated steel was again used for the 5¢ coin from 1951 to 1953 during the Korean War, but the reverse was unchanged. In 1967, the mint introduced a series of commemorative coins in honour of the Canadian centennial. Designed by Alex Colville, every coin produced that year featured a creature native to Canada: a rock dove on the 1¢ coin, a rabbit on the 5¢ coin, a mackerel on the 10¢ coin, a lynx on the 25¢ coin, a howling wolf on the 50¢ coin, and a Canada goose on the dollar. A commemorative gold $20 coin was also struck for collectors' sets, with a coat of arms on the reverse. It is worth noting the Royal Canadian Mint wanted to commemorate Canada's 60th anniversary in 1927 with variant coin designs. For 1973, the usual 25¢ coin reverse depicting a caribou was replaced with a Royal Canadian Mounted Police officer astride a horse, to celebrate the centennial of the founding of the North-West Mounted Police (now the RCMP). In 2007, the mint also released a $75 coloured gold coin featuring RCMP officers astride their horses, as part of an extensive program of collector coins celebrating the Vancouver 2010 Winter Games. This coin, designed by Cecily Mok, is composed of 58.33% gold and 41.67% silver. The mint has also issued two bullion coins in celebration of the RCMP. The first is a 1997 one-troy-ounce gold coin, which was produced for the 125th anniversary of the RCMP. 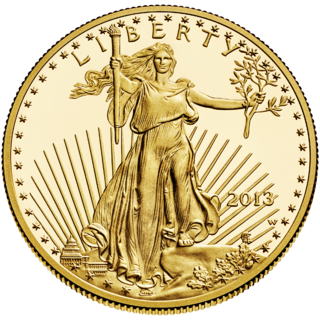 The second is a 2010 ​1⁄25-troy-ounce gold coin and was designed by Janet Griffin-Scott. The major change to Canadian coinage in the 1980s was the introduction of a circulating $1 coin, widely known as the loonie because of the common loon gracing its reverse. A voyageur canoe had been planned initially, but the master reverse die was lost in shipment between Ottawa and Winnipeg, so a new design was necessary. Introduced in 1987, the coin began to replace the $1 banknote in February 1989. In 1996, the Mint introduced a $2 circulating coin (known widely as the toonie) that featured a polar bear on the reverse and replaced the $2 banknote. The $2 coin was also a first for the mint in that it used a bi-metallic structure – the coin's centre is bronze-coloured and the circumference is nickel-coloured. In September 2010, the Mint released 3 million $1 circulation coins in celebration of the Saskatchewan Roughriders’ centennial. This coin’s reverse is engraved with the Saskatchewan Roughriders’ logo and a stylized ‘100’ framed by the dates 1910 and 2010. In October 1971, the Bank of Jamaica asked the RCM to produce a commemorative ten-dollar coin in silver and a twenty-dollar gold coin of proof quality. Also in 1971, the RCM made coins for the Bahamas, Bermuda, Cayman Islands, Iran, and the Isle of Man. An order for 100 million general circulation five centime and ten centimo coins for Venezuela was received as well. By 1973, orders totaled sixty five million coins, and seventy million blanks. By 1974, the Ottawa facility produced a facility record 1.2 billion coins (foreign and domestic). Two years later, the Monetary and Foreign Exchange Authority of Macau commissioned the Royal Canadian Mint to create a commemorative coin to recognize the transfer of the Macau region to the People's Republic of China. The coin is silver and featured a gold cameo. The face value is 100 patacas and had a diameter of 37.97mm and a guaranteed weight of at least 1 troy ounce (31.1034768 grams), while most 1 oz silver R.C.M. coins weigh 31.3 grams. The Royal Canadian Mint item number is 644309 and the issue price is $102. The coin features a Portuguese ship and a Chinese barque sharing coastal waters. The historic Ma Gao Temple (Pagoda de Barra) appears in the cameo. In 2009, the Mint produced coins and blanks for 18 countries, including the Decimo de balboa (10-cent coin) for Panama. In 2006, the Royal Canadian Mint issued the $50 Four Seasons 5 ounce 0.9999 silver coin. This was the first 5oz pure silver coin issued by the mint, and had a limited mintage of only 2,000 coins worldwide. High-grade examples of this coin fetch $1500 to $5000 at auction. Demand for the coin has been unprecedented, and it was the lowest mintage 0.9999 silver coin ever produced by the Royal Canadian Mint until the 2009 release of "Surviving the Flood", a 1 kilo 0.9999 silver coin which has a worldwide mintage of only 1500. On October 19, 2007, the Royal Canadian Mint issued ten new collector coins, including a 25¢ coin minted to commemorate the 60th wedding anniversary of Elizabeth II, Queen of Canada, and Prince Philip, Duke of Edinburgh; and a $15 sterling silver coin bearing the effigy of Victoria, the first from the series of five coins illustrating the effigies of the previous Canadian monarchs. From 1954 to 2006, the Mint supplied the Toronto Transit Commission with 24 million tokens. These tokens were taken out of service in 2007 for official use. The lightweight token was replaced due to the ease in duplicating counterfeit versions. Current TTC tokens are manufactured in the United States by Osborne Coinage. In October 2009, the Mint produced trade dollars for Canadian Tire which temporarily replaced their regular $1 coupons. The initiative called for the production of 2.5 million nickel-plated steel tokens, as well as 9,000 brass-plated steel tokens. As part of the limited-time offer, the trade dollars were distributed in 475 stores nationwide. In 2000, the mint patented an improved, money-saving production method called multi-ply plating technology. Since that year, the mint has used this technique to produce 5¢, 10¢, 25¢, and 50¢ pieces of Canadian circulation coinage, all of which were minted from nearly pure nickel alloys. Similarly, a copper-plated steel blank was used to produce the 1¢ coin until production ceased in 2012. Also in 2012, multi-ply plating was introduced for the $1 and $2 coins. This particular plating process uses a steel core that is electro-magnetically plated with a thin layer of nickel, then a layer of copper and finally another layer of nickel. As a smaller quantity of copper and nickel is required, this process has reduced circulation coin production costs. The composition of plated coins is more durable, thereby reducing the number of damaged coins in circulation and increasing their overall efficiency. By varying the thicknesses of the alternating layers of nickel and copper, the Mint can create coins with unique electromagnetic signatures, preventing fraud and producing the most secure circulation coins on the market. In 2004, the Royal Canadian Mint made numismatic history by issuing the world's first coloured circulation coin. The 25¢ coins were produced at the Mint's facility in Winnipeg and feature a red-coloured poppy embedded in the centre of a maple leaf over a banner that reads: “Remember / Souvenir.” The obverse features the portrait of Her Majesty Queen Elizabeth II by Susanna Blunt. The process of adhering colour to the coins surfaces involved the utilization of a high-speed, computer-controlled and precision inkjet process. Approximately 30,000,000 coins went into circulation in October 2004 and were available exclusively at Tim Hortons locations across the country. U.S. Army contractors travelling in Canada filed confidential espionage reports describing the coins as "anomalous" and "filled with something man-made that looked like nano-technology,". In 2006, the Mint produced a second colourized circulation coin in support of a future without breast cancer. The 25¢ coin features the iconic pink ribbon symbolizing breast cancer awareness. More recently, the Mint produced two other 25¢ poppy circulation coins in 2008 and 2010, both of which feature colourized designs. In 2008, the Mint also produced 50-toea colourized coins for Papua New Guinea. These coins are particularly unique because they were manufactured using a robotic mechanism that oriented the coins in a way that ensures all the colourized designs faced the same direction. This new technology was also used to produce the “Top Three Moments” coins. These 25¢ coins were part of the Mint's Vancouver 2010 circulation coin program and featured designs celebrating the top three favourite moments in Canadian Winter Games history. The men's hockey gold medal at Salt Lake City in 2002 was voted by fans as the No. 1 Canadian Olympic Winter Games Moment of all time – out of 10 moments — in an online contest hosted in 2009 by the Mint and Canada's Olympic Broadcast Media Consortium. Coming in at No. 2 was the Canadian women's hockey gold medal at Salt Lake City 2002, followed by Cindy Klassen at No. 3 and her five long-track speed skating medals at Turin 2006. The coins marking these top three favourite moments were launched into circulation on September 29, 2009, November 17, 2009 and January 5, 2010 respectively. The Mint succeeded in extending the life of the die beyond that of past chrome-coated dies, with the adaptation of the physical vapour deposition (PVD) technology to coat its dies. In 2006, the Mint entered a partnership with the Vancouver Olympic Committee and became an Official Supporter of the Vancouver 2010 Winter Games. As such, the Mint embarked upon an extensive three-year program of circulation and collector coins in honour of both the Olympic and Paralympic Winter Games. Their Vancouver 2010 coin program included the largest circulation coin series in relation to the Olympic and Paralympic Games ever conceived by any mint worldwide. It included the production of 17 circulation coins, 15 of which were of the 25¢ denomination and two of which were $1 ‘Lucky Loonies.’ The Mint was the first Mint in the world to commemorate the Paralympic Games on a circulation coin. These commemorative 25¢ coins were distributed across the country through participating Petro-Canada and Royal Bank of Canada locations. Regarding the circulation coins, one of the novelties is that D.G. Regina (dei gratia regina, or "by the grace of God queen") will be removed from the Queen's effigy, making the 25¢ coins the first "godless circulating coins" since the 2001 International Year of the Volunteer 10¢ piece. On the 1911 issue of King George V, the inscription was accidentally left off. The first circulating $1 coin will be dated 2008 but the obverse will be the standard effigy of Queen Elizabeth II by Susanna Blunt with the wording "ELIZABETH II" and "D.G. REGINA" with the Circle M privy mark. In addition to its circulation coin program, the Mint introduced a series of 36 collector coins ranging from multi-coloured sterling silver Lucky Loonies to premium gold coins. Most notably, two $2500 Kilo Gold Coins were produced as part of this program, marking the first time the Mint has issued a pure gold coin with a guaranteed weight of one kilogram. The program also included the production of two Sterling silver Lucky Loonies in 2008 and 2010, with mintages of 30,000 and 40,000 respectively. The Mint also produced the athlete medals for the 2010 Olympic and Paralympic Winter Games. The Vancouver 2010 gold medals are each made of sterling silver plated with six grams of 24KT gold. The silver medals are sterling silver while the bronze medals are composed mostly of copper. Their composition is governed by International Olympic Committee regulations. Each medal features a piece of one of two contemporary Aboriginal artworks and weighing 500 to 576 grams each. The design appearing on each of the Vancouver 2010 medals is based on two large master artworks of an orca whale (Olympic) and raven (Paralympic) by Corrine Hunt, a Canadian artist of Komoyue and Tlingit heritage based in Vancouver, BC. Each medal features a unique, hand-cropped section of her artwork. The Vancouver 2010 medals are also undulating rather than flat. They had to be struck nine times each in order to achieve this unusual shape. The medals were on display throughout the 2010 Winter Games at the Royal Canadian Mint Pavilion in Vancouver. There, visitors waited in line to see and hold the medals, sometimes for over seven hours. During the Olympics, the Mint Pavilion at the Segal Centre entertained 140,639 visitors, while the medal display at the Vancouver Public Library during the Paralympics saw 30,000 visitors. With so much interest generated by their Vancouver 2010 program, the Mint opened an additional retail outlet in Vancouver. This store is at 752 Granville Street, between Georgia and Robson streets. A – Used on 2005 palladium test coin to signify the coins were struck from Lot A. B – Used on 2005 palladium test coin to signify the coins were struck from Lot B. C – Placed on sovereigns produced at the Ottawa branch of the Royal Mint, between 1908 and 1919. Dot – In December 1936, King Edward VIII abdicated the throne in favour of his brother, who became King George VI. The problem was that the Royal Mint had been designing the effigy of King Edward VIII, and now a new effigy had to be created. The 1¢, 10¢ and 25¢ pieces in 1937 were struck from dies with a 1936 date on the reverse. To distinguish that these coins were issued in 1937, a Dot Mint Mark was placed on the 1936 dies, beneath the year. These coins fulfilled demand for coins until new coinage tools with the effigy of King George VI were ready. While the 10¢ and 25¢ coins are more common, the 1¢ coins are rare, with about a half-dozen known to exist. The dot after the date on the 1937 5¢ coin is a mint error caused by a chip in the master dies. H – Used to identify coins that were struck for Canada by the Birmingham Mint, also known as the Heaton Mint, until 1907. Innukshuk – All circulation coins for the 2010 Vancouver Olympics have the Innukshuk Mint Mark on the obverse of the coin. International Polar Year – The obverse of the 2007 International Polar Year $20 numismatic coin has the logo for the International Polar Year on the obverse of the coin. Man Becomes Mountain (Symbol of Paralympics) – All circulation coins for the 2010 Vancouver Paralympics have the Paralympic Games logo on the obverse of the coin. Maple Leaf – All coins with a Maple Leaf Mint Mark were struck in 1948 due to an emergency with coin toolage. The granting of India's independence resulted in the removal of IND:IMP (meaning Emperor of India) from King George VI's effigy. Due to the demand for circulation coins in 1948, coins for 1948 could not be struck until the new tools were received. The new tools would have the IND:IMP removed from them. In the meanwhile, coins were produced in 1948 with a year of 1947 on them. Referred to as the 1947 Maple Leaf, a small Maple Leaf Mint Mark was struck beside 1947 on the reverse of all coins to signify the year of production. P – From 2001 to 2006, most 1¢, 5¢, 10¢, 25¢, and 50¢ coins issued for circulation were struck with a P Mint Mark to represent the Royal Canadian Mint's plating process. RCM Logo – At the CNA Convention in July 2006, the RCM unveiled its new privy mark to be used on all circulation and numismatic coinage. The agenda behind the implementation of this new privy mark was to help increase the RCM's image as a brand. The aim of the logo is to educate coin users and coin collectors, respectively, that the RCM is minting Canada's coins. The first circulation coin to have this new mint mark is the 10th anniversary $2 coin. The first numismatic coin to have this new marking is the Snowbirds coin and stamp set. T/É – In an effort to push the standard of quality higher, the RCM started to experiment with a gold bullion coin that would have a purity of 99.999%. The result was a Gold Maple Leaf test bullion coin with the mint mark of T/É (to signify test/épreuve). The date on the obverse of the coin was 2007 and it had a mintage of 500. Teddy bear – When the RCM released its Baby Lullabies and CD Set, a sterling silver $1 coin was included in the set. The $1 coin included a privy mark of a teddy bear. W – Used occasionally on specimen sets produced in Winnipeg, starting in 1998. W/P – Used on the special edition uncirculated set of 2003. The W mint mark indicates that the coin was produced in Winnipeg and the P indicates that the coins are plated. In 2000, the Royal Canadian Mint lent a series of the new plated 10¢, 25¢ and 50¢ issues to the vending industry for testing purposes. These coins were issued with the letter P below the Queen's effigy. Some of these coins were not returned to the RCM by the vendors and it is possible some were sold to collectors at a considerable premium. On Tuesday, June 2, 2009, it was reported that the Auditor General of Canada found a discrepancy between the Mint's 2008 financial accounting of its precious metals holdings and the physical stockpile at the plant on Sussex Drive in Ottawa. 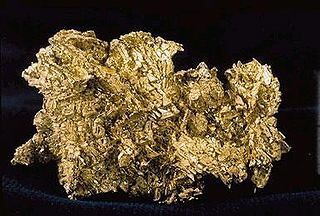 A review released on December 21, 2009, revealed that all of the misplaced gold was fully accounted for. A previously unaccounted 9,350 ounces was attributed to estimation errors, and a further 1,500 ounces was recovered through an extensive refining of slag within the Mint. ^ "Visit the Royal Canadian Mint". Mint.ca. Retrieved 23 December 2017. ^ a b c d e f "Annual Report 2016" (PDF). Mint.ca. Retrieved 23 December 2017. ^ "Canadian coins". Royal Canadian Mint's Official web site. Royal Canadian Mint. Retrieved 22 November 2011. ^ a b c d e f g h i j k Haxby, James A. (1983). Striking Impressions. ISBN 0-660-91234-1. ^ "Canada's Top 100 Employers". Mediacorp Canada Inc.
^ "The penny's days are numbered". CBC. 2012-03-29. Retrieved 2012-03-29. ^ "Canada's Last Penny: Final Cent Struck In Winnipeg Friday As Currency Killed". Canadian Press/Huffington Post Canada. 2012-05-04. Retrieved 2012-05-04. ^ a b Jackson, Emily (11 April 2012). "Royal Canadian Mint to create digital currency". Toronto Star. Retrieved 2012-04-11. ^ "CurrencyCode Enumeration". Royal Canadian Mint. Archived from the original on 2012-12-26. Retrieved April 17, 2012. ^ "Untitled (after article on "The Verdict of the World")". Hardware. 14 Feb 1890. Retrieved 19 April 2013. ^ Debates of the Senate of the Dominion of Canada. Queen's Printer. 1890. p. 170. ^ Royal Canadian Mint National Historic Site of Canada. Canadian Register of Historic Places. Retrieved 11 November 2013. ^ "CEO of Royal Canadian Mint to resign in July after just three years on the job". City News. Retrieved 8 July 2018. ^ "Board Members & Senior Officers". Mint.ca. Retrieved 23 December 2017. ^ "Our Services". Royal Canadian Mint. Retrieved December 16, 2018. ^ "Royal Canadian Mint promotes new line of 99.999% pure gold bullion coins by unveiling world's purest, largest and highest denomination gold coin". Newswire.ca. Retrieved 23 December 2017. ^ "Canada Cool I The Royal Canadian Mint coin producer for 74 countries". Canadacool.com. Retrieved 23 December 2017. ^ "Issuance of the 1997 Commemorative Gold Coin". Hong Kong Monetary Authority. Hong Kong Monetary Authority. 7 May 1997. Retrieved 16 May 2018. ^ "Royal Canadian Mint credits patented multi-ply plating for record year in minting international circulation coins : Coin Collecting News". Coinlink.com. Retrieved 23 December 2017. ^ "Royal Canadian Mint Secures Contract to Produce Currency Coins for Papua New Guinea". Mint.ca. Retrieved 23 December 2017. ^ "Royal Canadian Mint's Centennial Year Closes On High Notes". Mint.ca. Retrieved 23 December 2017. ^ "The Royal Canadian Mint Wins Coveted Awards at the 2008 World Money Fair in Berlin, Germany". Coinnews.net. 4 February 2008. Retrieved 23 December 2017. ^ Personnel, Government of Canada, National Defence, Chief Military. "Publications - The Canadian Forces' Decoration". Cmp-cpm.forces.gc.ca. Retrieved 23 December 2017. ^ "2010 Olympic medal design unveiled". CBC News. October 15, 2009. Retrieved 16 December 2018. ^ "TO2015 Unveils One-of-a-Kind Medals - A Unique Product of the Americas". Mint.ca. Retrieved 23 December 2017. ^ "Coin Collection". Legendary Coins. Retrieved 16 December 2018. ^ BRIDIS, TED (7 May 2007). "U.S. feared poppy quarter". Toronto Star. Retrieved 23 December 2017. ^ "Royal Canadian Mint". eBECS Limited. Retrieved 16 December 2018. “Most Innovative Coin of the Year” at the World Mint Directors Conference in 2006, for their 2004 themed, coloured 25-cent Poppy coin. ^ "Royal Canadian Mint Annual Report "Appreciating Value" 2004, page 4" (PDF). Mint.ca. Retrieved 23 December 2017. ^ "Royal Canadian Mint Annual Report "Thriving" 2005, page 4" (PDF). Mint.ca. Retrieved 23 December 2017. ^ "Royal Canadian Mint Annual Report "External Forces, Internal Strength" 2006, page 4" (PDF). Mint.ca. Retrieved 23 December 2017. ^ "Royal Canadian Mint Annual Report "In Anticipation of Profit" 2007, page 4" (PDF). Mint.ca. Retrieved 23 December 2017. ^ "Royal Canadian Mint Annual Report "Making History" 2008, page 4" (PDF). Mint.ca. Retrieved 23 December 2017. ^ "Royal Canadian Mint Annual Report "World Class Performance" 2009, page 4" (PDF). Mint.ca. Retrieved 23 December 2017. ^ "Royal Canadian Mint Annual Report "We Are Here" 2010, page 2" (PDF). Mint.ca. Retrieved 23 December 2017. ^ "Royal Canadian Mint Annual Report "From Main Street To Bay Street and Beyond" 2011, page 2" (PDF). Mint.ca. Retrieved 23 December 2017. ^ "Royal Canadian Mint Annual Report "Breaking Traditions" 2012, page 30" (PDF). Mint.ca. Retrieved 23 December 2017. ^ "Annual Report 2013" (PDF). Royal Canadian Mint. p. 26. Archived from the original (PDF) on June 26, 2014. Retrieved 16 December 2018. ^ "Royal Canadian Mint Annual Report "Tomorrow's Mint" 2014, page 6" (PDF). Mint.ca. Retrieved 23 December 2017. ^ "Assessment of Royal Canadian Mint Security". October 13, 2009. p. 4. Archived from the original on July 18, 2011. ^ MacLeod, Ian (June 2, 2009). "Mint can't account for missing gold". Ottawa Citizen. Archived from the original on June 6, 2009. ^ "Gold Fully Accounted For At Royal Canadian Mint". Royal Canadian Mint. December 21, 2009. Retrieved 23 December 2017. Wikimedia Commons has media related to Royal Canadian Mint. The Big Maple Leaf (BML) is one of six $1 million (CAD) gold coins each weighing 100 kilograms (220 lb). They were produced by the Royal Canadian Mint (RCM) in 2007, at their Ottawa facility where the first BML produced remains in storage. As of March 2017, the market value of a single Big Maple Leaf had reached approximately $4 million (USD). On 27 March 2017, one of the coins was stolen from a Berlin museum.